When early pioneers trudged west across the great Appalachian ranges, they found before them a land so rich in natural resources they referred to it as a Garden of Eden. As word spread back east of fertile soil, bubbling springs, abundant wildlife, salt licks, vast pastures and virgin timber, central Kentucky&apos;s reputation as the land of milk and honey grew to legendary proportions. Attracted by the Bluegrass region&apos;s plentiful natural resources, white settlers quickly laid claim to the land, and with their first fields of corn, hemp and tobacco, the region&apos;s profitable agrarian economy was up and running. Today, the legendary limestone nourished soil supports a wide variety of agricultural endeavors. You&apos;ll find plenty of opportunities to enjoy nature&apos;s bounty in and around Lexington and discover our agricultural heritage along the way. Over 200 years ago, Jean Jacques Dufour chose a fertile slope in a bend of the Kentucky River and established the first commercial wine grape operation in the United States. The mild climate and mineral-rich soil that attracted Dufour to the Bluegrass are inspiring a new generation of growers to try their hand at viticulture. Here are some of the vineyards closest to Lexington. Equus Run Vineyards and Winery. The fields of this vineyard roll right down to Elkhorn Creek, making it a popular spot for picnicking and fishing. There is an amphitheatre, tasting room, a great deck for sipping and a gift shop. Special wine dinners and musical and theatre events are held throughout the year. Owner Cynthia Bohn planted the first vines in 1998 and has already won gold medals in international competitions on the East and West Coasts. 1280 Moores Mill Road, Midway, KY 40347 (859) 846-9463. Chateau du Vieux Corbeau Winery. This winery is on the same property as the Old Crow Inn Bed & Breakfast. The Brousseau family vineyard produces white and red French-Hybrid grapes for wine as well as American Table Grapes for eating out of hand. Wines are available for tasting and purchase in the tasting room and gift shop. 471 Stanford Road, Danville, KY 40422 (859) 236-1808. Talon Winery & Vineyard. This picturesque winery is nestled among Thoroughbred farms. Visitors can stroll the vineyards and sip wine in the 18th century farmhouse, just 15 minutes from downtown Lexington. A summer concert series features live music from Motown to Bluegrass. 7086 Tates Creek Road, Lexington, KY 40515 (859) 971-3214. Jean Farris Winery & Bistro. Ben and Jeanie O&apos;Daniel, both from second-generation Kentucky wine families, have now opened their doors under their own label, Jean Farris. A scenic drive down a country lane delivers you to the vineyards and a charming Bistro that serves fantastic Country French Cuisine for lunch and dinner Tuesday through Sunday starting at 5 p.m. Tours are not offered, but you are welcome to take a glass of wine and wander the vineyards. 6825 Old Richmond Road, Lexington, KY 40515 (859) 263-9463. Bluegrass Note: Kentuckians have long understood the value of combining pure water with corn, barley and rye under just the right conditions. Bourbon whiskey, named for Bourbon county right here in the Bluegrass and prized the world over, is America&apos;s only native spirit. Kentucky produces at least 99% of the world&apos;s bourbon. Treat yourself to the sights and smells of a working distillery by touring four historic area attractions: Buffalo Trace in Frankfort (502-696-5926), Woodford Reserve in Versailles (800-542-1812), Wild Turkey in Lawrenceburg (502-839-4544), or Four Roses, also near Lawrenceburg (502-839-3436). You don&apos;t have to live in the country to enjoy fresh, locally grown products straight from the farm. Farmers&apos; markets are enjoying a resurgence in popularity across the United States. Lexington&apos;s Farmers&apos; Market now runs year round. Every Saturday from mid-April to early winter, Cheapside Park is lined with colorful stalls selling fruits and vegetables, herbs, flowers, jams and jellies, honey, Kentucky specialties and more. Take a leisurely stroll through the stalls and sample locally made ice cream or ginger ale of pasta. A number of local artists set up their work near the old Courthouse or at Phoenix Park. On Tuesdays and Thursdays, you&apos;ll find the farmers set up at Maxwell and South Broadway and on Sundays, on Southland Drive near Oleika Shrine Temple. You&apos;ll find Bluegrass Farmers&apos; Market in the parking lot of Liquor Barn 1837 Plaudit Place on Tuesdays and Saturdays, and at 3037 Lakecrest Circle in the Beaumont Centre on Thursdays and Saturdays. This market boasts 100% Kentucky grown produce. Call (859) 624-1020 for times. Many towns surrounding Lexington have their own farmers&apos; markets. In addition to farm-fresh produce, you may find homemade cakes, handicrafts, bedding plants, soaps and candles. Call the Visitor Information number beside each city to check on days and hours of operation. Danville (859) 236-7794. 203 East Lexington Avenue, May through September. Georgetown (502) 863-2547. Courthouse Square, mid-June through September. Winchester (859)744-4682. On Depot Street, Mid-May through October. Frankfort (502) 875-8687. River View Park, May to October. Versailles (859) 351-5612. North Main Street parking lot/ Courthouse, May through October. Paris (859) 987-3205. 8th and High, April to September; indoors the rest of the year. Wilmore (859) 887-2797. City Hall parking lot, May to October. Richmond (859) 626-8474. Lowe&apos;s parking lot, July through September. Berea (859) 986-2540. 416 Chestnut Street, April through October. Several Bluegrass farms can offer visitors close encounters of the barnyard kind. Be sure to call ahead. Serenity Fiber and Living History Farm. This 94-acre farm is home to many animals. Some provide fiber for wearable and decorative items. An 1820&apos;s cabin on the farm is believed to have been the home of a Revolutionary War soldier. 1371 Beverly Lane, Nicholasville, KY (859) 536-5056. Old Friends. There are some very special horses who love entertaining visitors at this retirement "home" for thoroughbred super stars. There is even a soccer-playing miniature horse. Schedule a tour by calling (502) 863-1775. Tours are $10 for adults; kids six to 12 are $5. 1841 Paynes Depot Rd., Georgetown, KY.
Mims Retirement Haven. Give some love to the ladies, too! This farm specializes in pampering retired Thoroughbred broodmares. Calumet&apos;s champion 3 year old filly Our Mims resided on this farm in her later years. Watch the whole herd interacting in the Haven&apos;s pastures. Visitors are encouraged, by appointment. Just north of Lexington on Millersburg Ruddles Mill Rd in Paris, KY. (859) 227-6304. Farm markets, produce stands and orchards abound in the Bluegrass. Take a drive through our scenic countryside and stop off for some edible souvenirs. Here&apos;s a list of u-pick operations where you can roll up your sleeves and choose your own produce at the peak of perfection. Call ahead to see what&apos;s ripe, and ask if you should bring your own containers. Eckert&apos;s Boyd Orchard. 1396 Pinckard Pike, Versailles. Strawberries, blackberries, apples, pumpkins. (859) 873-3097. Evan&apos;s Orchard. 180 Stone Road, Georgetown. (502) 863-2255. Apples, pears and pumpkins. Reed Valley Orchard. 239 Lail Lane, Paris. (859) 987-6480. Blueberries, blackberries, nectarines, raspberries, peaches, pears, pumpkins, cherries and apples. Bluegrass Note: Bibb lettuce was created by War of 1812 veteran John Bibb in his Frankfort greenhouse. Another Kentucky creation is the Kentucky Wonder pole bean, known around the world as one of the best green bean varieties of all time. The first homesteaders across the Cumberland Gap saw a fertile region that promised rich rewards for those willing to work hard. One of the region&apos;s top attractions provides a glimpse of early Kentucky farm life. Shaker Village Historic Farm Program. The superb agrarian tradition of the Shakers comes alive at the nation&apos;s largest and most completely restored Shaker community. Four acres of corn, tobacco, sorghum and heirloom vegetables are farmed using 19th century horse-drawn machinery. Purebred livestock of the same breeds the Shakers used are raised and worked throughout the village. From April through October, agronomists from the Historic Farm Program allow visitors to witness farm work done as it was in the 1800s. Much of the produce served at the Trustee&apos;s Dining Room is grown in the garden just outside the windows. There is a 40-hive apiary the produces spring and fall crops of nearly 700 pounds of honey. Shaker Village offers a wide variety of hands-on workshops year round, from growing gourmet mushrooms to home-brewing. Modern overnight accommodations are available in beautifully appointed rooms in many of the restored buildings. 3501 Lexington Road, Harrodsburg. (859) 734-5411. Bluegrass Note: The region&apos;s largest stockyards are located just north of Lexington. Stores, restaurants and high-tech event spaces round out this expansive, modern facility. (859) 255-7701. Fall is a wonderful time to experience the bounty of the Bluegrass. These popular festivals usually start in late September and run every weekend through October. Baldwin Farms. Take some great photos and make memories while wandering the hay maze or corn maze, petting the goats or climbing Dirt Hill. 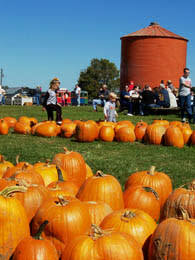 Take home a pumpkin, Baldwin salsa, local honey, apples, cider, mums, Amish jams, sorghum, or fall decorations. 1113 Tates Creek Road, Richmond,KY (859) 582-5785. Bi-Water Farm & Greenhouse. At AutumnFest, tackle a five-acre corn maze, hop on a hayride, walk through the haunted farm house, visit the Enchanted Barnyard or take a train ride around the farm. You&apos;re bound to find the perfect pumpkin in their 25-acre patch. Fall mums and pansies are available along with fresh fruits and veggies. 877 Cincinnati Pike, Georgetown, 40324 (502) 863-3676. Eckert&apos;s Boyd Orchards. Pick the event that most suits your taste. From early September through October, there is a unique festival each weekend. Call for the dates of the popular Scare Crow Fest. 1396 Pinckard Pike, Versailles, 40383 (859) 873-3097. Devine&apos;s Corn Maze and Pumpkin Patch. Well, actually there are three corn mazes! Come out to the farm mid-September through October. There&apos;s also a "critter" petting area, a giant slide and nightly bonfires. It culminates Halloween weekend with the Field of Horror (for the older kids). 623 Talmage-Mayo Road, Harrodsburg, KY (859) 613-6900. Evans Orchard. Bring the family for the annual Harvest Celebration. Make your own selection in the pumpkin patch just in time for Halloween. There are pony rides, and always a few surprises--like last year&apos;s pumpkin throwing contest! You might want to return in the summer for this farm&apos;s famous Sweet Corn. 180 Stone Road, Georgetown, KY 40324. (502) 863-2255. Bluegrass Note: Industrial hemp was once the number one cash crop in Kentucky and created more than one 19th century millionaire. It was the source of a vast array of products from textiles to food products and paper to oils. Unlike its close relative, this versatile plant does not have any psychoactive properties. At this time, hemp cannot be commercially grown in the United States. Though you probably won&apos;t be asked to pitch in with the morning chores, a farm stay is a great way to get a close-up look at some of the area&apos;s most unique agricultural operations. A number of area farms operate B&Bs. Essence of the Bluegrass, 4343 Mt. Horeb Pike, Lexington, 40511, (859) 255-0067. Experience a gentleman&apos;s farm in a modern home nestled among famous horse farms. Children and pets welcome with advance notice. 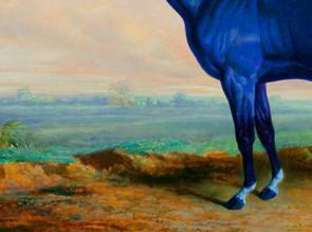 If you are traveling with your horse, he is welcome too! Boarding is available. 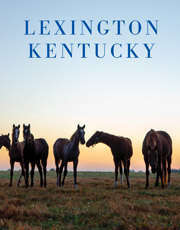 Located five minutes from the Kentucky Horse Park and fifteen minutes from downtown Lexington. Eighth Pole Inn, 3463 Rosalie Lane, Lexington, 40510 (859) 226-0095. Situated on a prominent Thoroughbred horse farm just minutes from Keeneland, you can stay in the farm&apos;s guest quarters overlooking the broodmare paddocks or in one of three suites located in the Southern Colonial main home. Jordan Farm, 4091 Newtown Pike, Georgetown, 40324 (859) 321-5707. Three spacious suites and a carriage house are available for guests at this 100-acre horse farm. Some guests have been lucky enough to see mares foaling. There is a five-acre fishing lake stocked with catfish, croppie and bass. The Farm, 450 Waterworks Road, Danville, 40422 (859) 583-0244. You can get the full experience here if you&apos;d like, including milking the goats. This is an antebellum estate with seven spacious guestrooms. There are also four private cottages. Ashley Inn, 128 Ashley Inn Way, 40444 (859) 548-4922. Here&apos;s another great option if you are traveling with your horse, or just love horses. The Ashley Inn is located on the grounds of the Meadow Lake Equestrian Center. This working horse farm also has RV hookups.